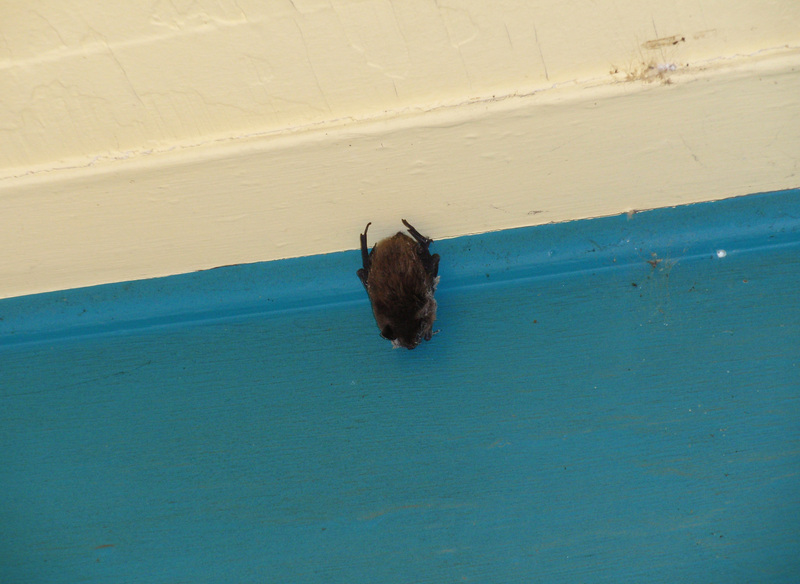 The onset of colder conditions is the best time to take preventive measures to keep small animals — such as bats, mice and small rodents — from getting into homes, said Jamie Nack, wildlife outreach specialist at the University of Wisconsin-Extension. "One very important rule here: if you're trapping those mice or squirrels ... and releasing them, you are going to continue to have a problem," she said in an interview on the Oct. 3, 2018 episode of Wisconsin Public Radio's The Larry Meiller Show. Once an animal identifies a warm place to nest over the winter, it's an uphill battle if preventative measures aren't taken to keep them out in the first place, Nack explained. Autumn is the time to take stock of your home and identify all possible entry points, then seal them off. "Walk around the exterior of your home and look for holes or cracks, paying special attention to the eaves, the fascia boards and flashings — and any places where you have damp wood, that should really be replaced as well," she said. That damp wood harbors insects, attracting some animals in search of food, Nack said. Small holes or cracks can be filled with caulk or expandable foam, she explained. David Drake, a professor of forest and wildlife ecology at UW-Madison, went into more detail in the interview. It's important not to skip over a hole because it may seem too small for an animal to squeeze in, he explained. Bats, for example, can work their way into an opening the size of a dime. "We say for bats about 5/8 of an inch and a little bit larger than that for mice," Drake said. "As long as an animal can get its head and shoulders through, the rest of the body just slips right on through ... so think think about that type of a size." Larger holes may require replacing or repairing the entire area, Nack said, and pipes or utility outlets need to be covered. Covers for those types of openings can be purchased, or made from hardware cloth. A video tutorial from Fine Homebuilding magazine explains how to do this. Windows, screens, doors and chimneys are also common points of entry for wildlife, Nack said. "Are they fully functioning? Are they tight? Are there any holes that need to be repaired?" she asked. "If you do not have a chimney cap on your chimney, it is well worth the investment to do so." Drake also points to garages. While keeping the garage door open on those fleeting nice days is appealing, it offers another point of entry, he said. Moreover, garages often house dog food and cat food — all temptations for unwanted animals. Woodpiles are also an attractant, including for insects that even can be pests in winter. Drake said pet food should be kept in metal containers and stacks of wood are best moved outdoors. "All those things are attractants," he said. "They're going to bring mice into the garage and that's just one step closer to getting into your house." Bats can squeeze through openings that are as small as a dime. Once a home is properly sealed, attractants from around the yard, as well as indoors, should be removed, Nack said. Food in kitchens and pantries should be kept in airtight containers. Bird seed should be stored in containers pests can't get into, like a metal garbage can, she added. Keeping spaces clean is likewise important. "If you feed birds … it's really important to kind of clean up that spilled seed from time to time," Nack said. "A large accumulation of that starts to bring in other small mammals, which then may bring in larger mammals." More information on dealing with troublesome wildlife on properties is available from UW-Extension's Wildlife Ecology & Damage Management guide, including specific guidance for critters from bats and raccoons to skunk and wild turkeys. What Factors Were At Play In Trump's Victory?